Efforts to promote the production and marketing of local rock salt in a bid to support local development and biodiversity conservation continue. 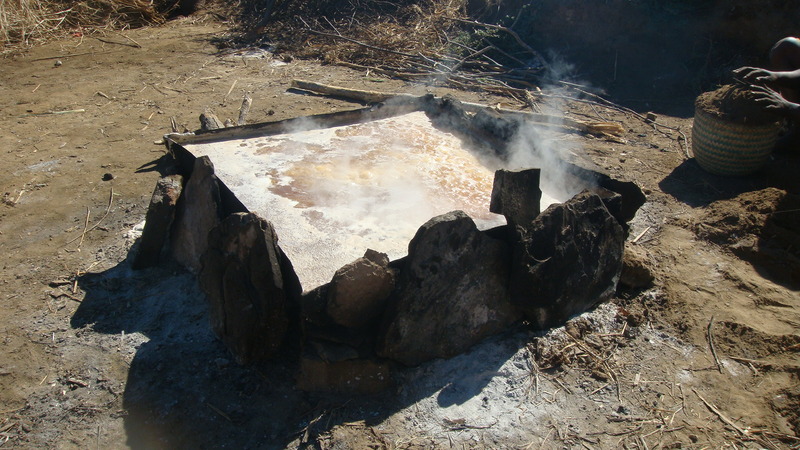 In August 2013, a loan was granted to the association of women salt producers. The loan was used to finance the acquisition of metal sheets, used to manufacture the “cooking pots” needed to evaporate water from salt brine. A budget for the purchase of 10 pots was awarded by ESSA with financial support from the Tany Meva Foundation. It was agreed that the women’s salt association would repay the loan over 12 months. Women have since started repaying the loan in September, as agreed upon with ESSA. The new pots are now being used together with improved wood stoves for better cooking efficiency. In an additional bid to minimize environmental impact, the salt producers have initiated reforestation projects on their own land.